WhichFlicks is a website that allows you to sort through thousands of movies and television shows on Netflix. With that many options there is always something to watch the trouble is finding it. With this website you have the ability to sort by Netflix Stars, Rotten Tomato Ratings, date, genre, audience (MPAA rating), and by people (actors, directors). 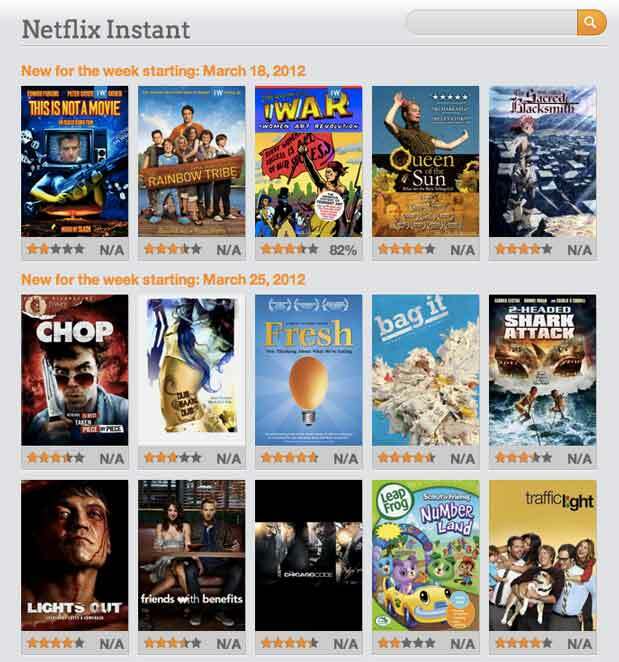 It is a far superior way to find something to watch, compared to the native Netflix search and recommendation system. It compares very well to Instant Watcher, a site that provides a similar service. Which Flicks is definitely easier and cleaner to use, while Instant Watcher has many more lists and details. The best unique feature in Which Flicks is the “Upcoming” movies section. I really enjoy this section because Netflix doesn’t often promote its future content.